The Hoboken community will come together to share in its annual September 11th Interfaith Memorial Service for the victims, their families, the City of Hoboken, and the entire nation. 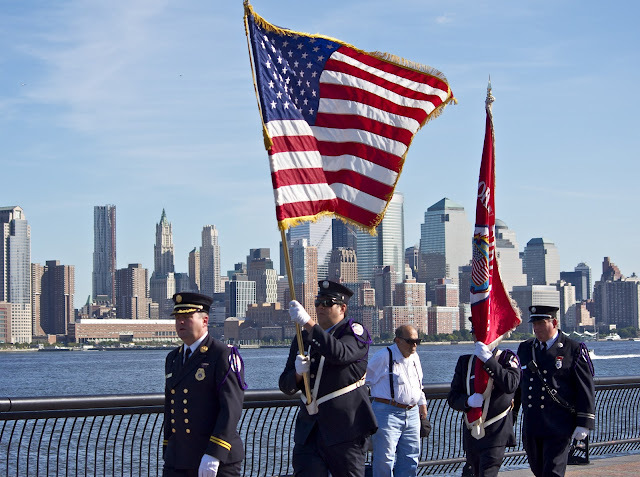 The service will take place on Sunday, September 11, 2016 at 2:00 p.m. on the southeast corner of Hoboken’s Pier A Park. All are invited to attend. Fifty-six Hoboken residents were lost on September 11, 2001. Funding (estimated $1.47 million) is now in place for construction of Hoboken’s 9/11 memorial. 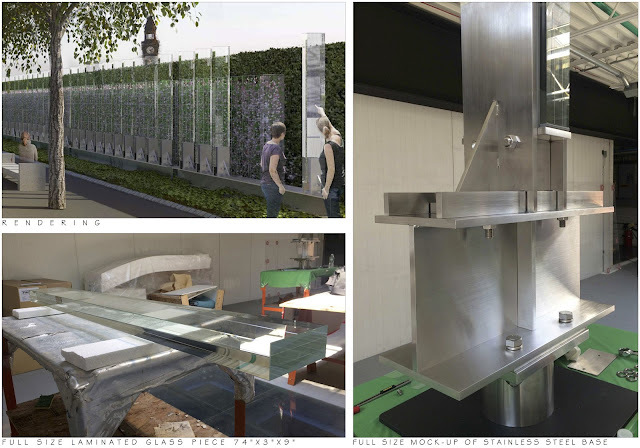 Consensus has been achieved on a revised design which was necessary due to challenges with the glass panels, which were purchased in 2008 prior to the design of the memorial. A glass manufacturer has successfully demonstrated a method to strengthen the panels to make them structurally suitable for the memorial. This month, the manufacturer successfully fabricated one of the glass panels and mounted it to the steel base as a demonstration and proof of concept for how all the panels for the memorial will be fabricated and mounted. Architectural plans and bid specifications are being finalized, and then the project will be going out to bid for construction.